Staying competitive against larger enterprises is a tall order for a growing business. 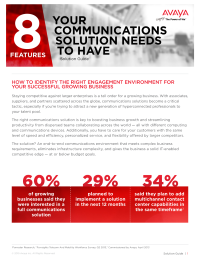 The right communications solution gives growing businesses a critical competitive edge to capitalize on global opportunities. delivering higher business value to their organizations that need to drive growth, connect resources across geographies, improve customer experiences, and enable higher team productivity.